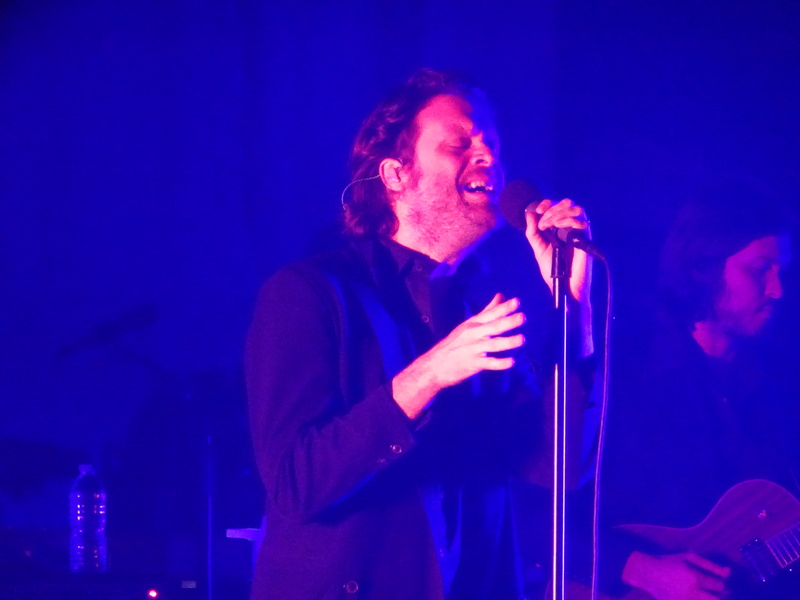 Father John Misty reflects on his professional journey to becoming a musician at Royal Oak Music Theatre. 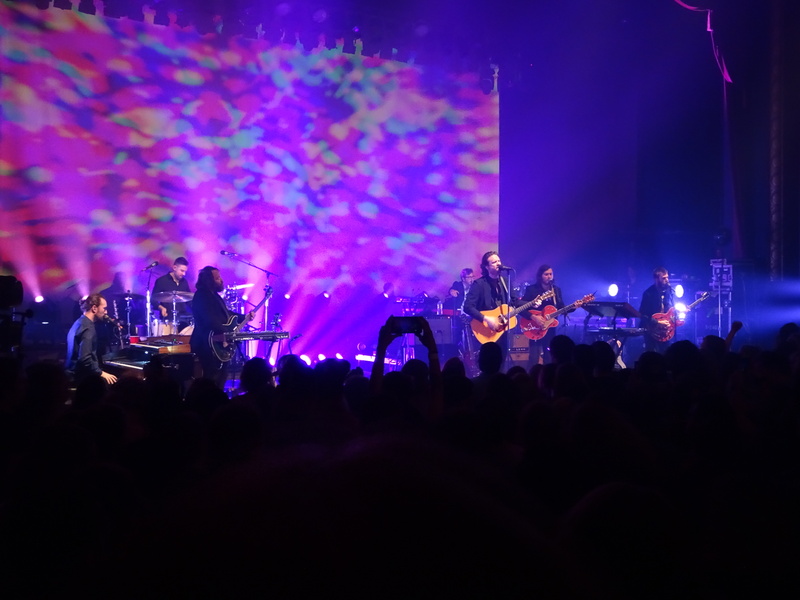 Toward the end of his two-hour set Tuesday night, Father John Misty hosted a mini Q&A session with more than 1,000 fans at Royal Oak Music Theatre in Royal Oak, Mich.
His answer resonated with fans because it was honest and authentic. 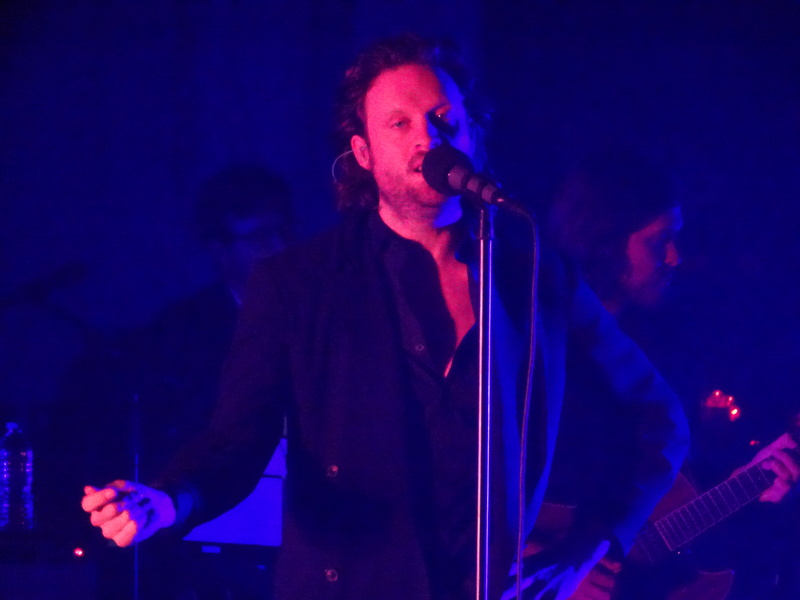 Unlike other artists, Father John Misty, a.k.a. Josh Tillman, is known for being real and direct. With a sardonic sense of humor, Father John Misty provides colorful commentary about life, politics, human connection and music through his latest album, “Pure Comedy.” I can’t help but laugh every time he gives a serious answer behind his sarcastic grin. His musings are just as entertaining as his indie folk rock. These days, his career path isn’t that much different from the rest of us. Our careers don’t follow a straight line, but instead a random order. That’s the best part about it. “Happy little career accidents” are the best ways to grow creatively and professionally regardless of what you do. We start out with big career dreams as kids, and we’re not hesitant to become rock stars, baseball players, actors, inventors, truth-seeking FBI agents and politicians. Then, we hone in on an interest or natural talent and go from there. When I was a kid, I wanted to be dancer and a meteorologist. At age 10, I discovered my knack for writing and jumped on that bandwagon instead. I still dance like there’s no tomorrow and go on a Weather Channel binge every now and then though. Father John Misty sings tracks from his latest album, “Pure Comedy,” in Royal Oak, Mich.
Father John Misty’s point about “not being good at anything else” is brilliant and insightful. Most of us fall into a career because it’s what comes naturally to us, and it’s ignited by a desire to do something rewarding, fun and fulfilling each day. Writing is my “not being good at anything else” reason. Those who know me best would say concertgoing and remembering random dates are a dead second and third. My career trajectory has taken an odd detour over time. I started as a tween short story writer and later morphed into a pizza peddler, a roast beef aficionado, a high school journalist and eventually a college student government reporter. About halfway through college, I became a utility writer who did a brief stint as Pure Michigan internal communications pro. These days, I work as a packaging communications specialist who moonlights as a music writer. Who’s to say you can’t take several unconventional career paths at once? The best and hardest part is not knowing what comes next. What’s your career trajectory? Where do you want to go from here? Maybe we should meet up at a Father John Misty concert soon to figure it out. Hi. Your career path sounds good. The main thing is to be happy in life and to get satisfaction out of life. Happiness is what steers you down the “right” career path. Thankful for that all the time.